The hotel industry has evolved from mere spreadsheets to new-age technology that runs hotel functions smoothly, decreasing dependency on human resources. A few decades ago, if someone had to make a hotel booking, they would have to call the travel agent or write to the hotel to make a reservation. Things have changed now; technology has streamlined a lot of processes, making traveling easier than before. Internet has given travelers and hoteliers the scope to reach out to each other through various online platforms. Travelers are not only researching on the internet but they are also planning their itinerary. Considering the latest buyer report by Software Advice, business travelers in US are on a rise and expected to reach $295.7 billion in 2015. This is due to the growth in Millennial travelers who take on an average of three more trips annually compared to the older age group hence they are 62% more likely to extend business trips into vacations. Another report suggests that hotels are fast adopting cloud technology like property management systems. 34% of hoteliers use property management software while 25% use pen and paper, 9% use reservation software alone, 8% use custom-built software and 16% have no system in place. 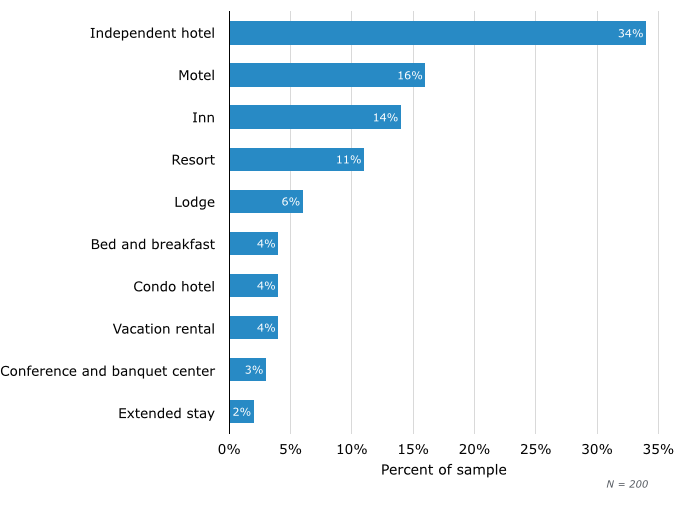 The graph below highlights that independent hotels make up the majority of PMS buyers. 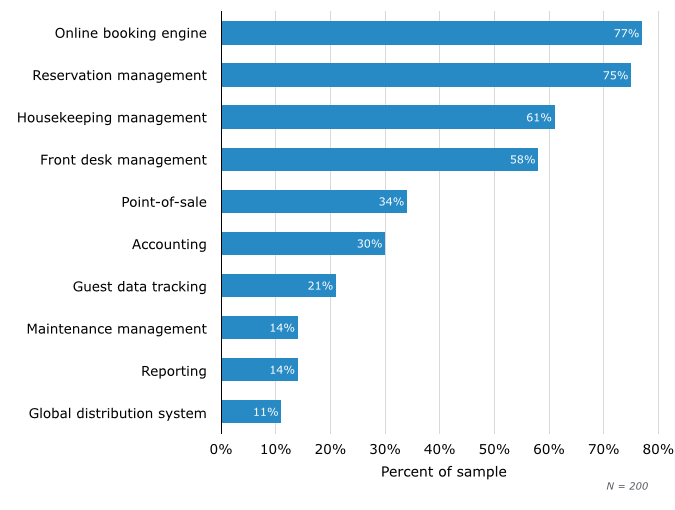 According to the same research by Software Advice, more than three-quarters of hotel software buyers look for property management system with online booking capabilities. 75% request for reservation management capability. Housekeeping and Front Desk are also considered important for buyers. Hotelogix encourages small and independent hotels to adopt cloud technology in order to experience the benefits of automation and get more exposure to online channels of sales. Hotelogix offers a free trial period of 15 days for hoteliers to evaluate all the features of the system and see value before investing. You can try all the operations related modules, the website booking engine, rate and package creation and more during the trial period. Get started in just a minute. No credit card required. "Independent Hotels are Adopting Cloud Property Management System", 5 out of 5 based on 2 ratings.